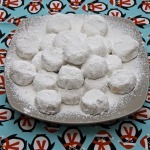 Every country or nation that celebrates Christianity has a special dessert that made exclusively around Christmas time. Greece is no exception, and since it had embraced Christianity for almost 2000 years the number of desserts for the occasion is huge. 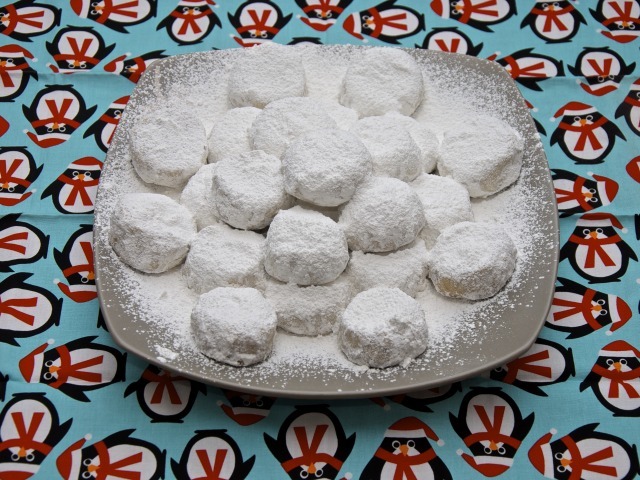 However, the one that is closer to my heart, because is delicious and also is what my grandma used to make every Christmas, is the Kourampies (κουραμπιές, koo-ra-byies). 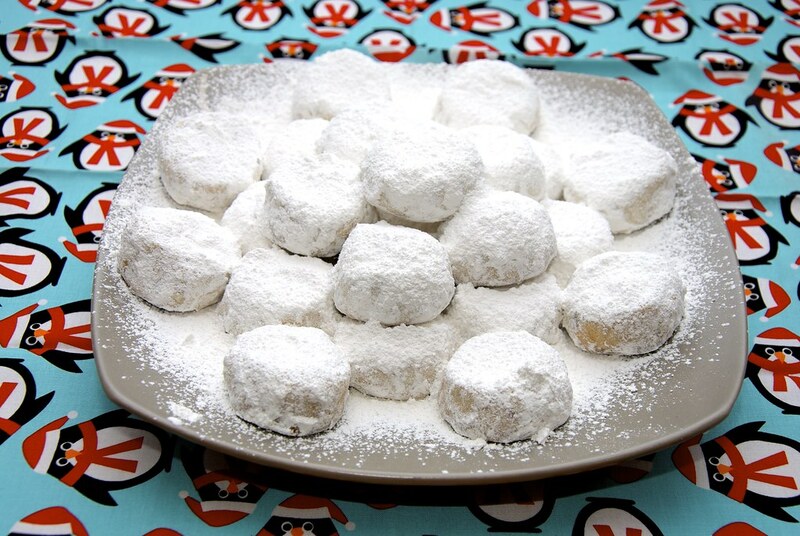 It is a crumbly almond cookie dusted in powder sugar. 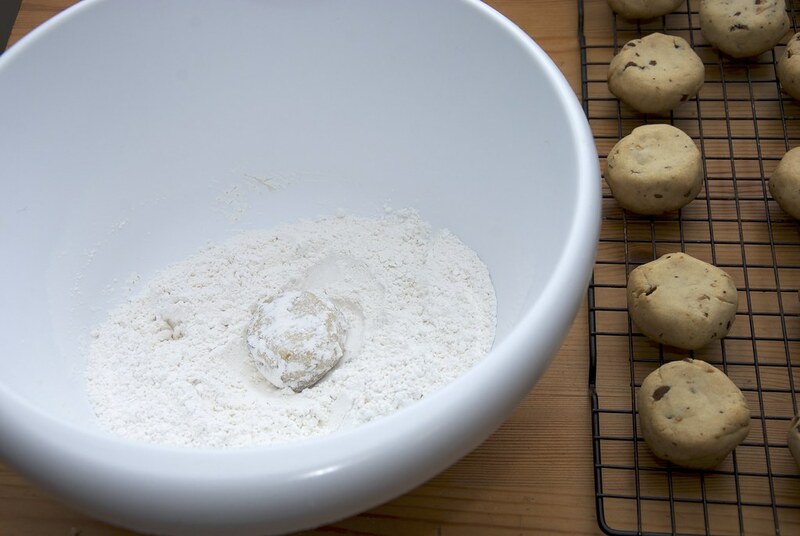 Simple ingredients, humble cookie, and big flavor. 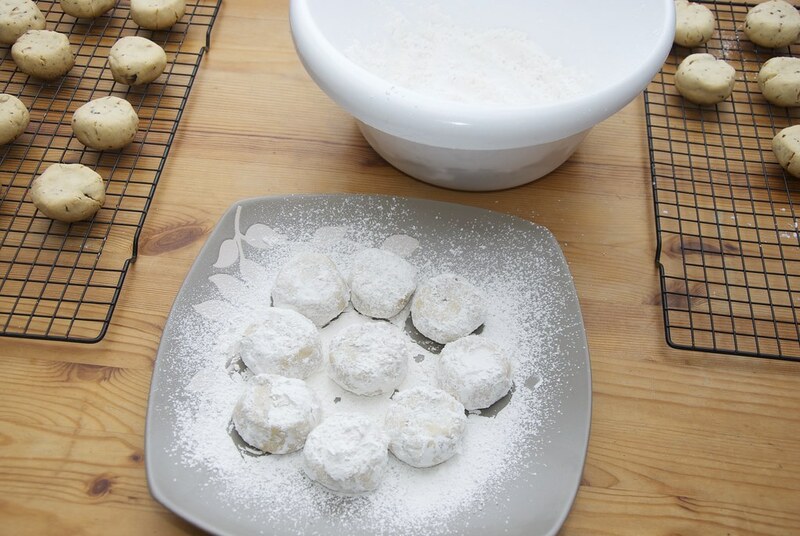 Although the Christmas reference of the cookie for most of the people comes from the white dusting of sugar, that resembles the snow, for me it is more the relation of the humble beginnings the cookies with the humble beginnings of the Messiah. The origin of the cookie itself is not Greek. 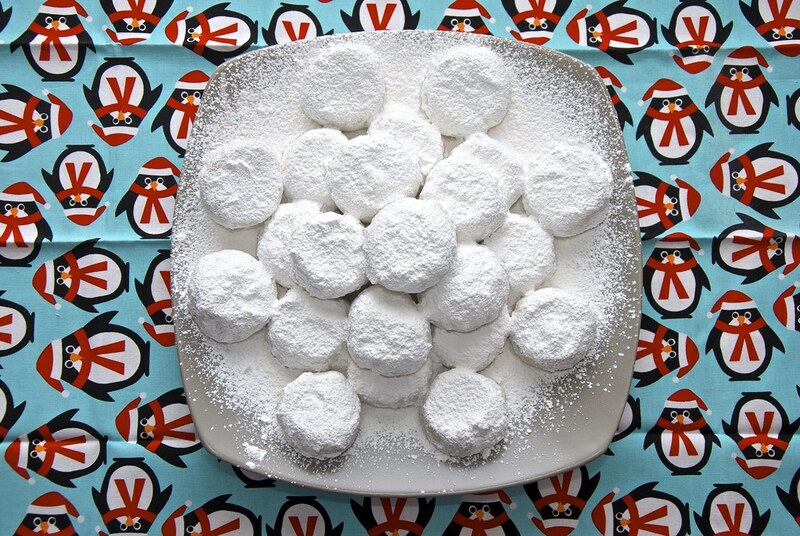 It is lost somewhere in the middle east, where the term Qurabiye is widely used to describe a form of a cookie that has a characteristic dry and crumbly texture. Quru in Arabic means dry and biye means cookie. The latter term actually has a much longer history, as the term originates from the Latin bis-coctus that means double baked. Bis is double (like in bi-monthly) and coctus is cooked or baked. The term biscoctus is what nowadays is pronounced biscuit or biscotti. The term biscoctus in the Arabic language was eventually transformed to biye that means the same exact thing. The history of the dessert is not any more clear than that. 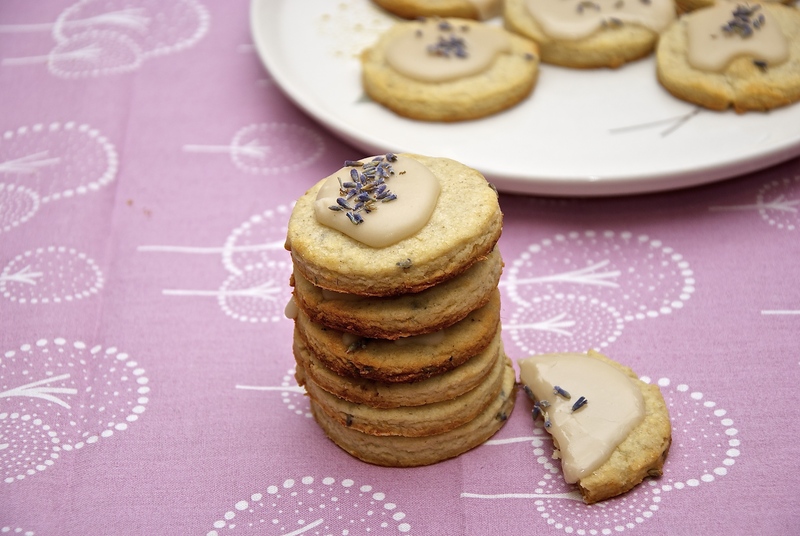 It is a simple cookie with simple ingredients and elaborate technique. 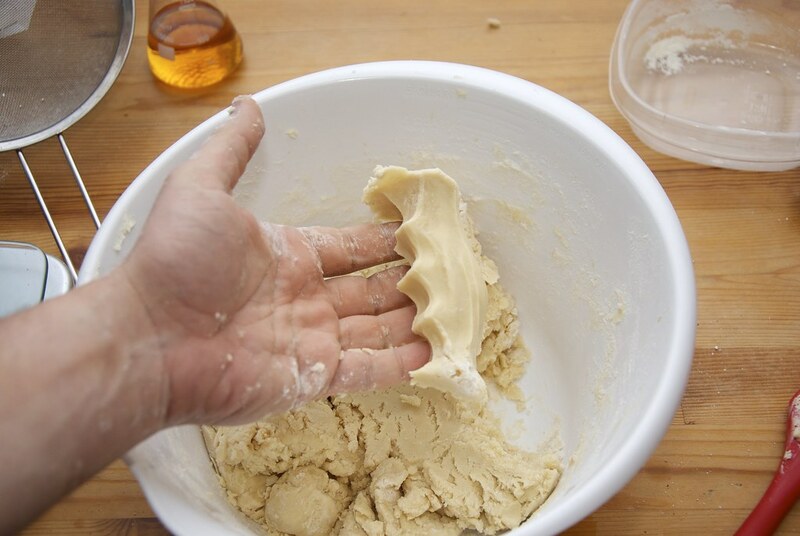 The recipe itself as soon will be evident, is more like an English shortbread as it heavily relies on the miracle of butter and flour rather than a traditional cookie. 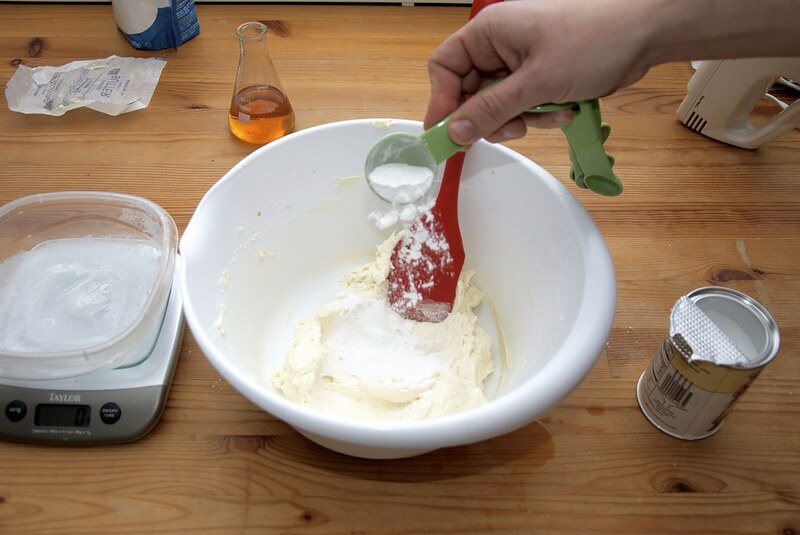 Due to the heavy dusting of the cookie with powder sugar, there is very little sugar in the dough itself. Some people even skip it completely, but I find this too extreme. There is the addition of toasted almonds that in combination with some other flavorings, gives a very distinct flavor profile. 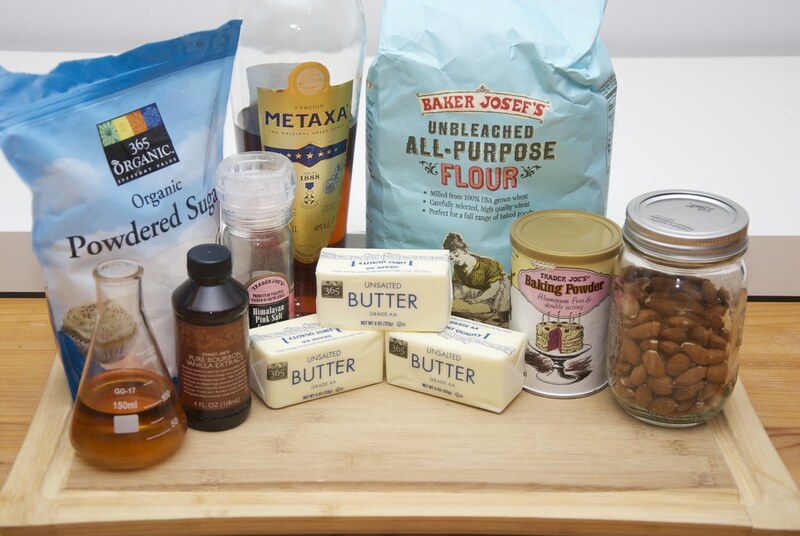 In Greece, the major flavor comes from the butter, that is sheep’s butter with a distinct funkiness (more on that later), and a local brandy called Metaxa (more about it here) and vanilla, the flavor base of almost every cookie. In some recipes, the flavoring team is completed by rose-water, but it is completely optional. And that is all. Almost. 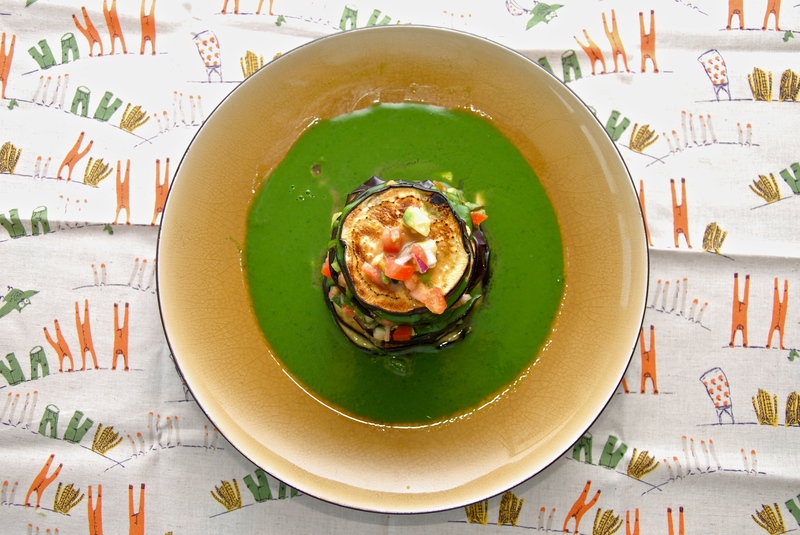 Some recipes include an egg yolk that is used to bind everything together. We do not need any egg though. If we play our cards correctly we create enough binding with the generation of some gluten and other starches, that the egg becomes obsolete. 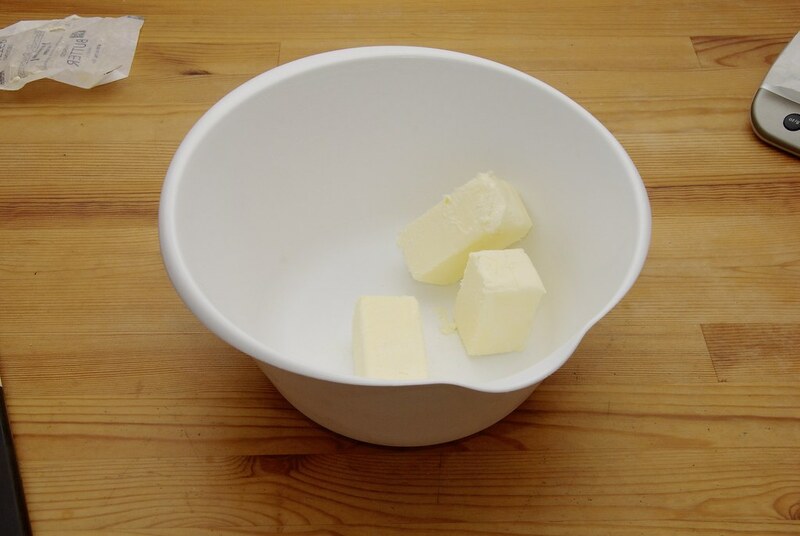 And one last note: The butter. The butter you find usually in all grocery stores is mainly cow butter. The traditional butter, however, is the notorious sheep butter. Sheep milk is fattier than cow’s milk and therefore it has a higher yield. 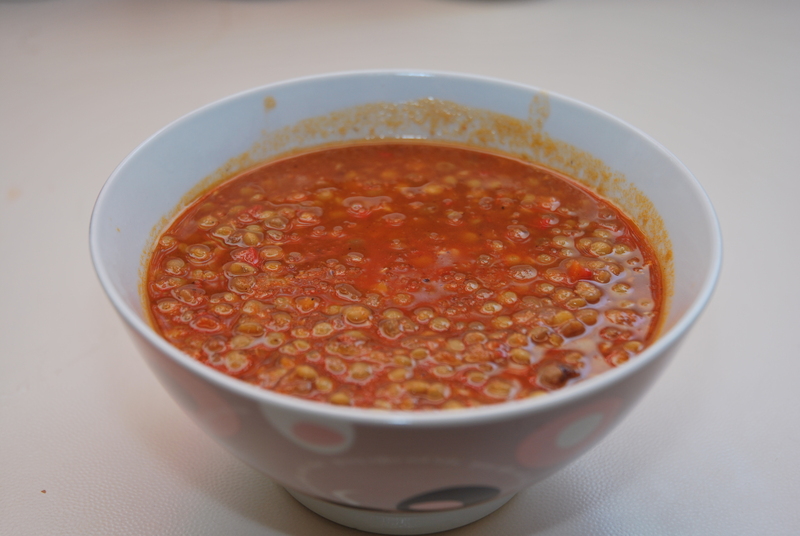 It is not as popular, however, because of the.. funky smell that has. It is like stepping in a stable that hosted sheep for a decade and never was cleaned. It is a mixture of aged cheese and an athlete’s sock. The aroma is released only when melted, so don’t let this deceive you when it is in a frozen state. For many kourampie fanatics that smell is associated with the dessert. I don’t like that funkiness, so I use regular butter. If your area, however, has sheep butter give it a try. Be cautious though, you have been warned. Oh and one more note on the butter. If you are an organic fanatic avoid butter that are cultured; they have a heavy sour aftertaste that is not doing well with the sugar. More powder sugar for decoration. 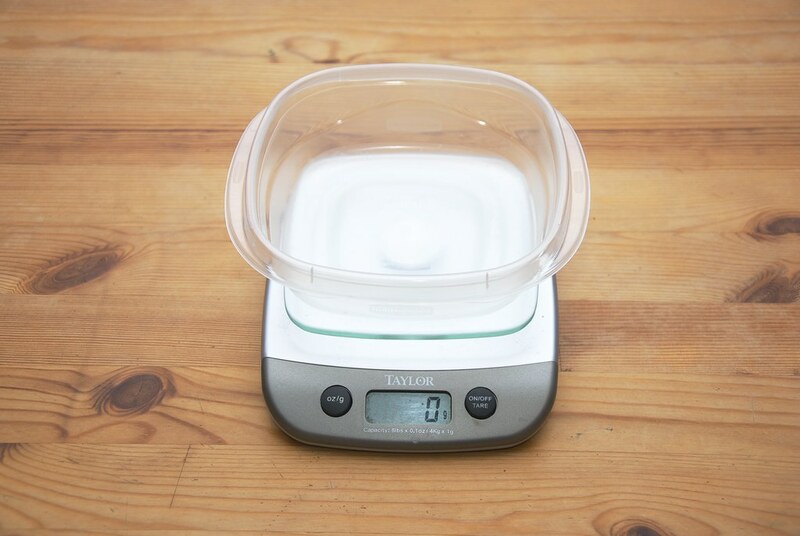 A scale in this recipe is essential as all the ingredients are given in grams. 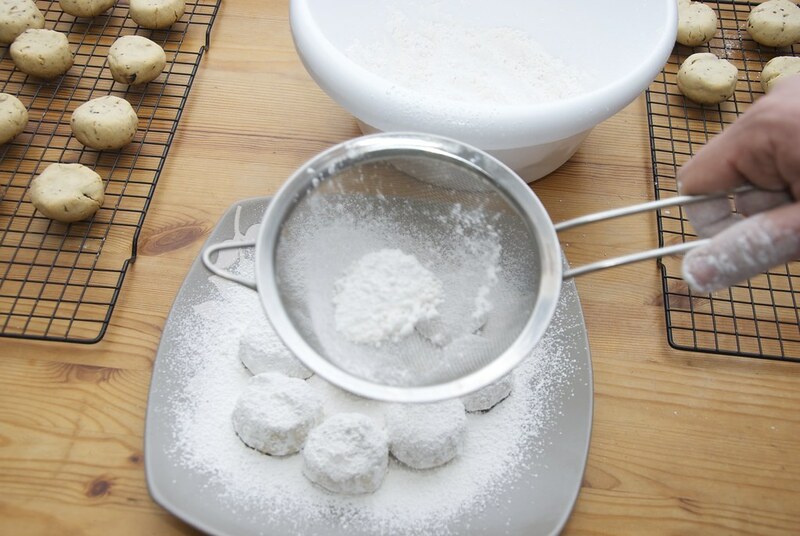 Is very hard to get consistent results volumetrically since measuring cups of flour, powder sugar and almonds is not easy. 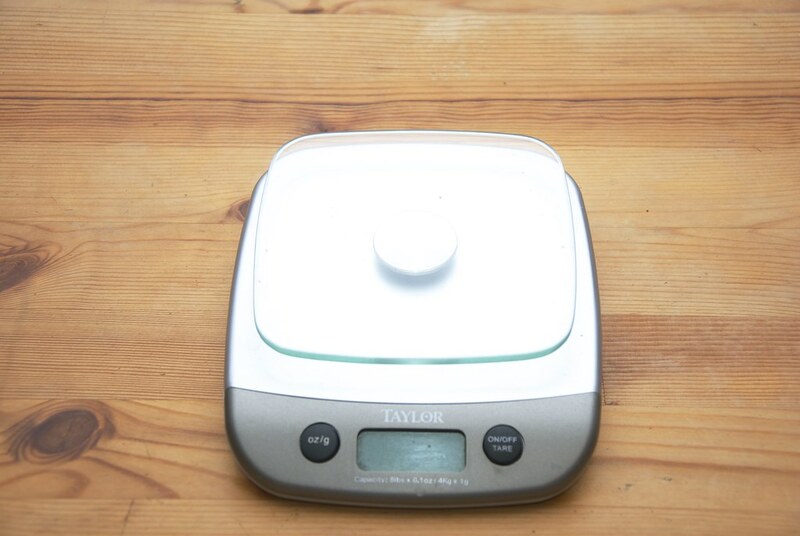 Tare your scale with the receptacle. 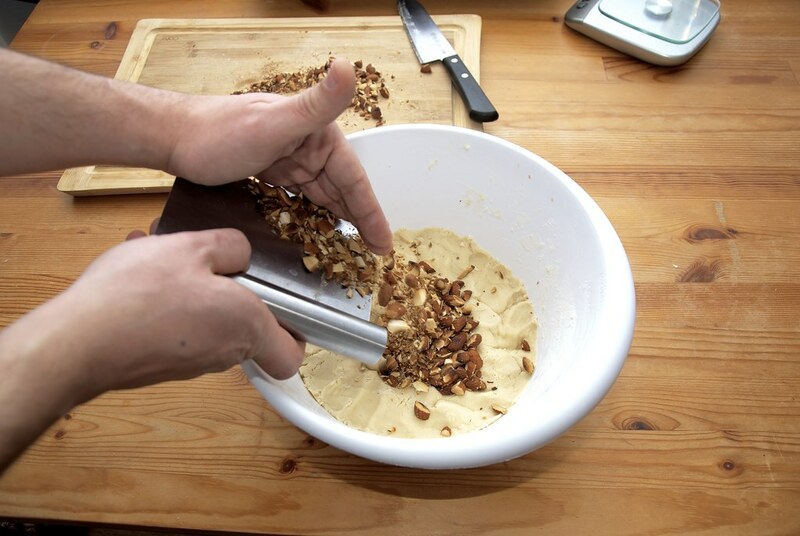 Add 100 grams of the almonds. We will need to roast them to bring the nice toasty flavor that we all love. 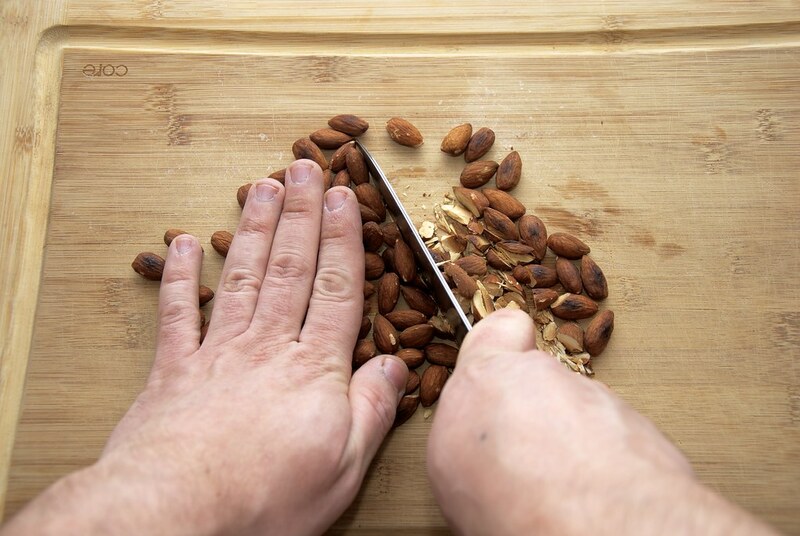 Yes, theoretically you can buy roasted almonds, but a) many roasted almonds are actually fried, b) the nutty flavors of the home roasted almonds are not even close to the store purchased and c) raw almonds are cheaper. 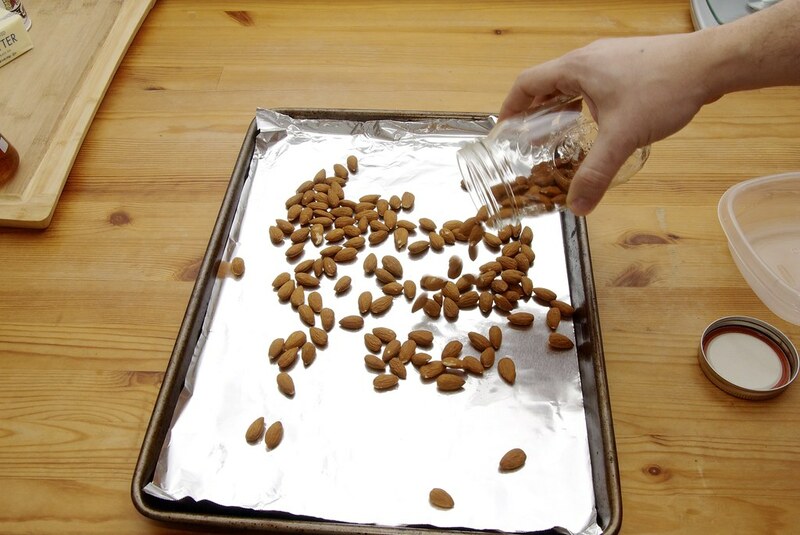 In a pan with aluminum foil add the almonds and roast at 300 F for 10-15 mins till they become nice and roasted, which is a step before burned. 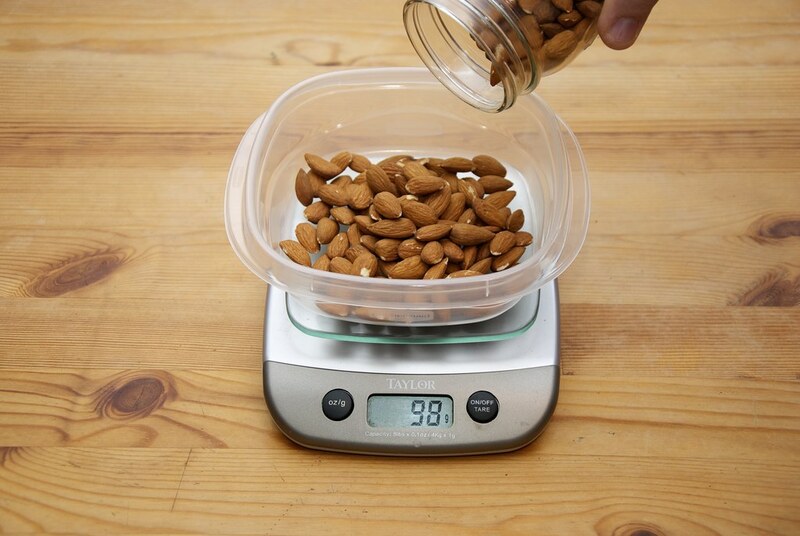 Actually let’s add all of the almonds so we have something to snack on. 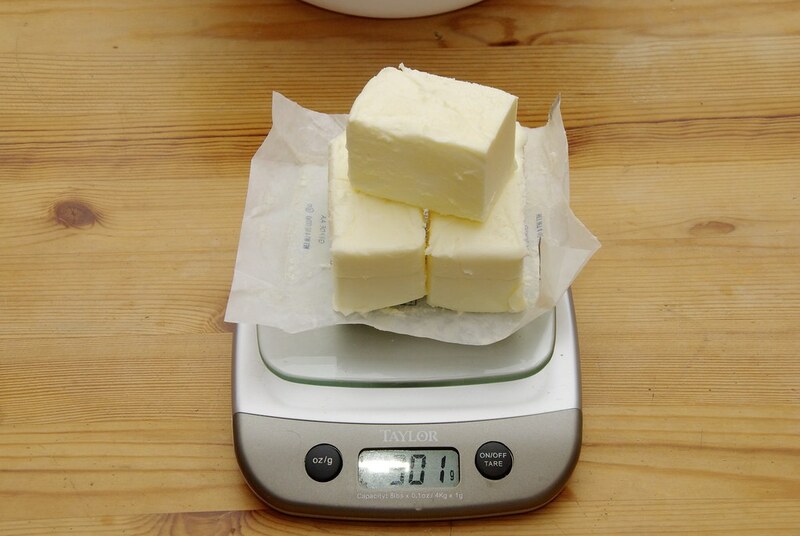 Start by weighing the butter. 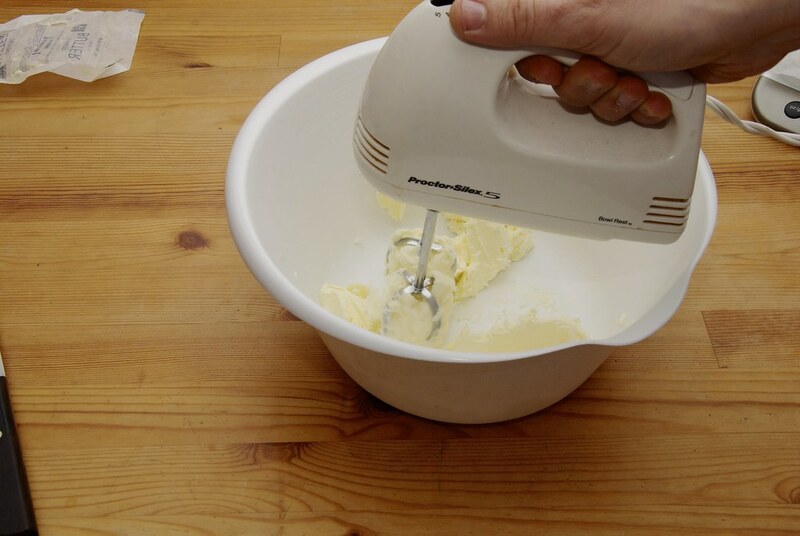 The butter should be at the right temperature which is room temperature. It is essential since it has to be plastic to be worked well with the mixer. Add it in a deep bowl. Proper mixing is key. While the butter for a minimum of 15 mins. Some people like to go for an hour, which is fine as long as the whipping will not melt it. Once it takes a white hue, add the flavorings, like the salt. Followed by the 75 grams of the powered sugar. You can use regular sugar, however, powder sugar contains about 5% corn starch, or if it is organic it has tapioca flour. 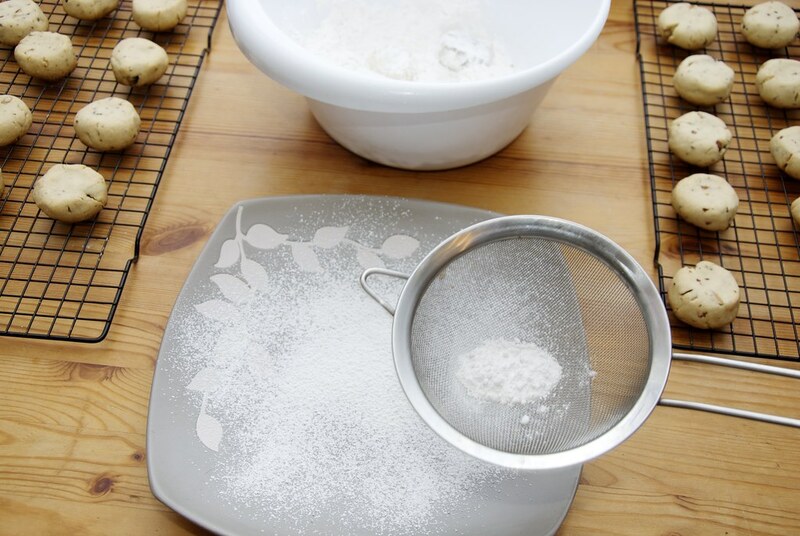 It is used to prevent the sugar from becoming a sticky mess, but in this case, it also adds a structural element that is important especially when we are not using any eggs. Add the sugar in the butter. And whip it a little to integrate. 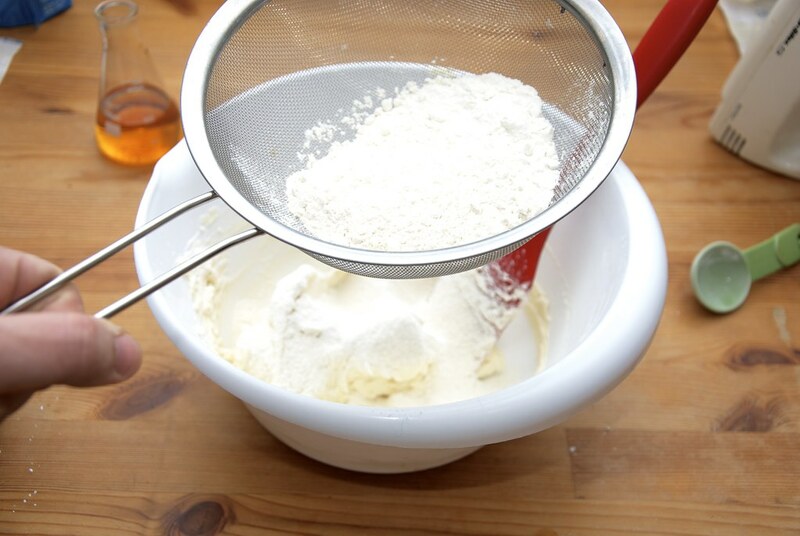 I usually use the hand mixer while turned off, to stir everything together and then at the lowest setting to integrate things better. and the rose water. Whip again to integrate. Don’t forget to scrape down the walls with a spatula. At this point, the butter itself is amazingly delicious. 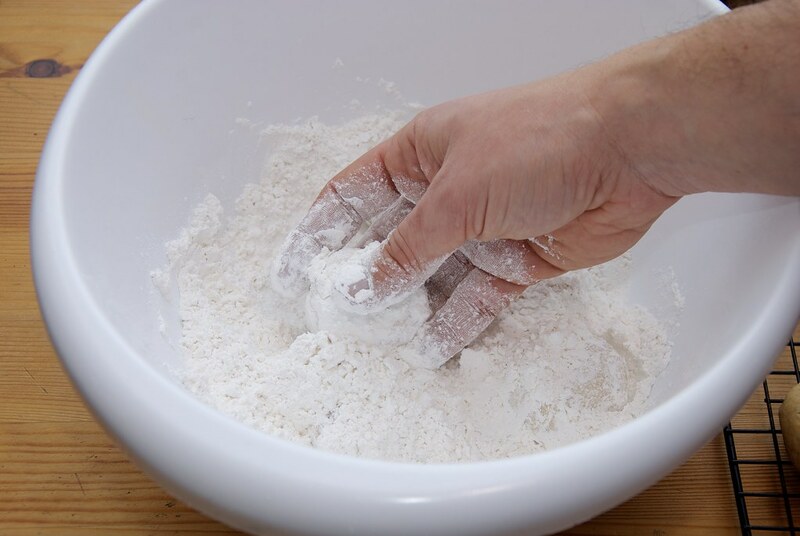 Weight the flour. 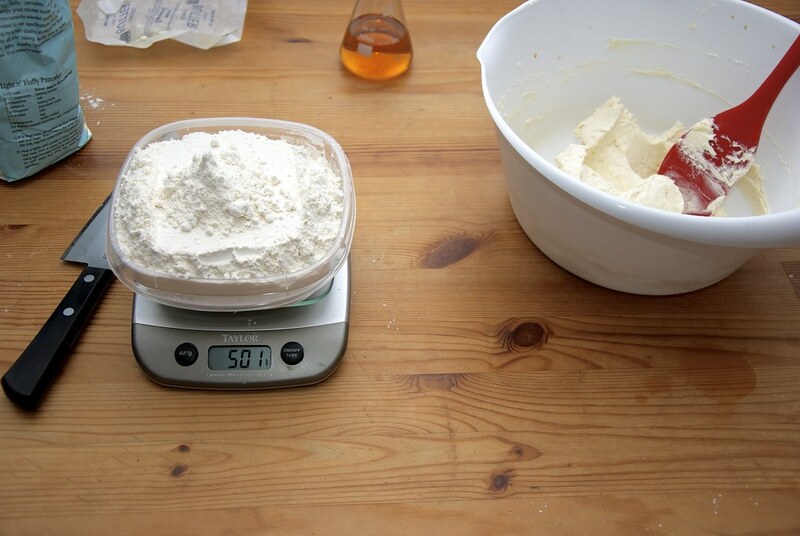 I always hold back in the last 100 grams and add them in the end, only if it is essentially required. Add it by sifting it slowly in the butter mixture. 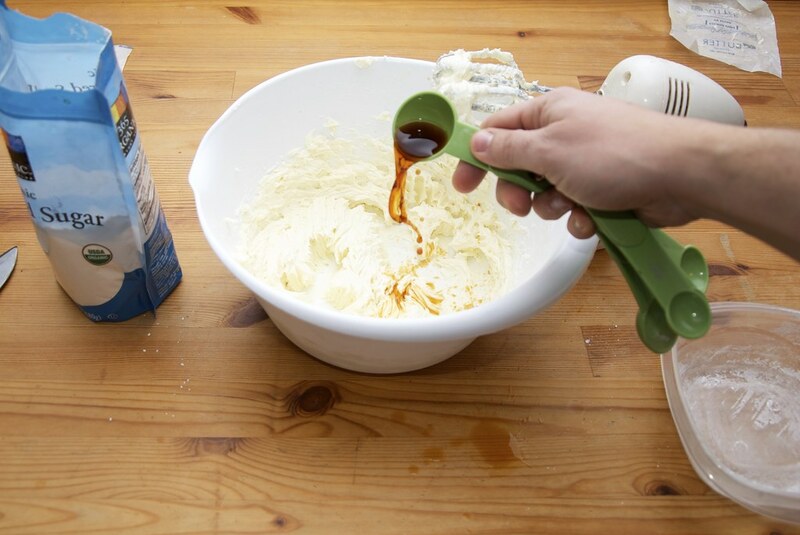 You can use the hand mixer or just a spatula to mix everything. 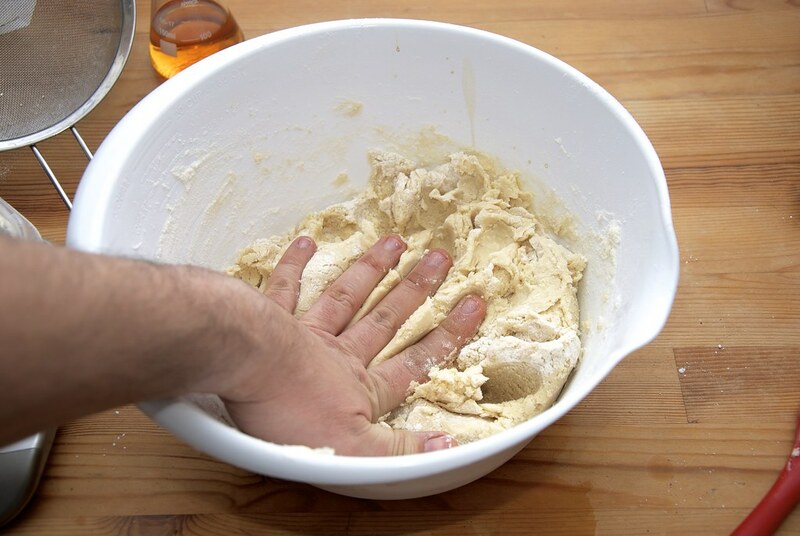 When the dough starts coming together you have to use your hands. 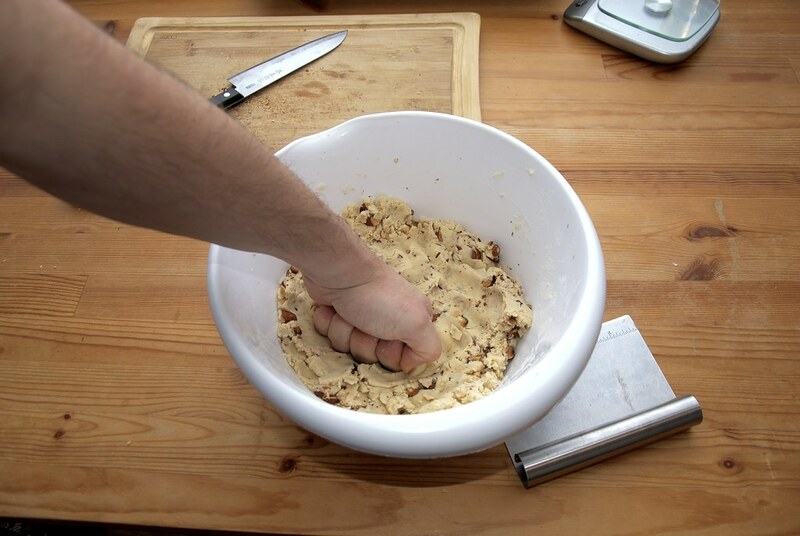 There is one way to make sure that the dough is ready. Take a piece in your fist, and press it. When you open your hand again it should be a completely plastic and the has the complete impression of your palm. 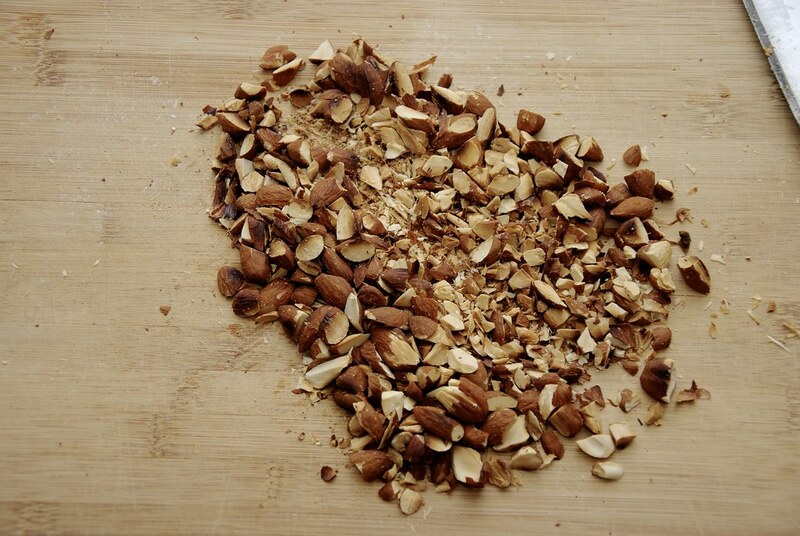 Take the roasted almonds (yeah these are a bit over the roasted state) and cut them. 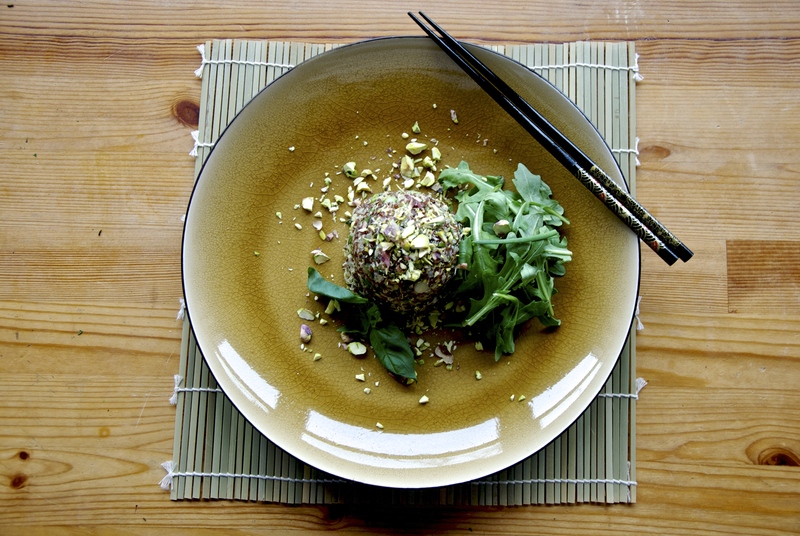 You can use a food processor but for 100 grams the knife gets the job done and is faster. You want a wide range of sizes. In the top left corner, I have some almonds that are really fine just for that purpose. Make sure that they are not hot or even warm. They will melt the butter. 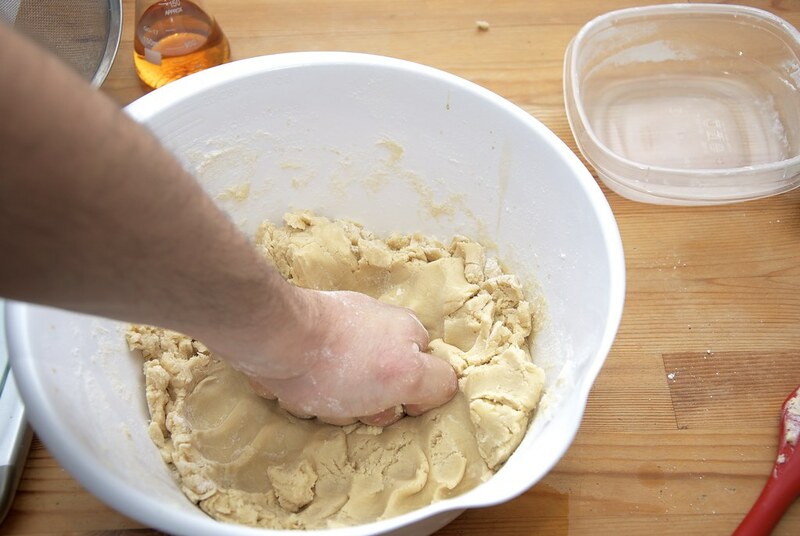 Add them in dough and mix them well. Even distribution is a key. 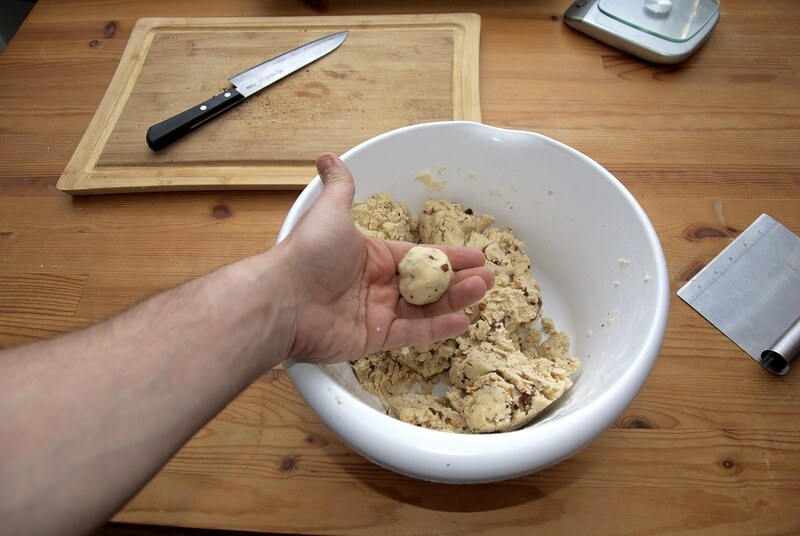 Roll the dough in 30 gram balls. Add each one in a baking pan. 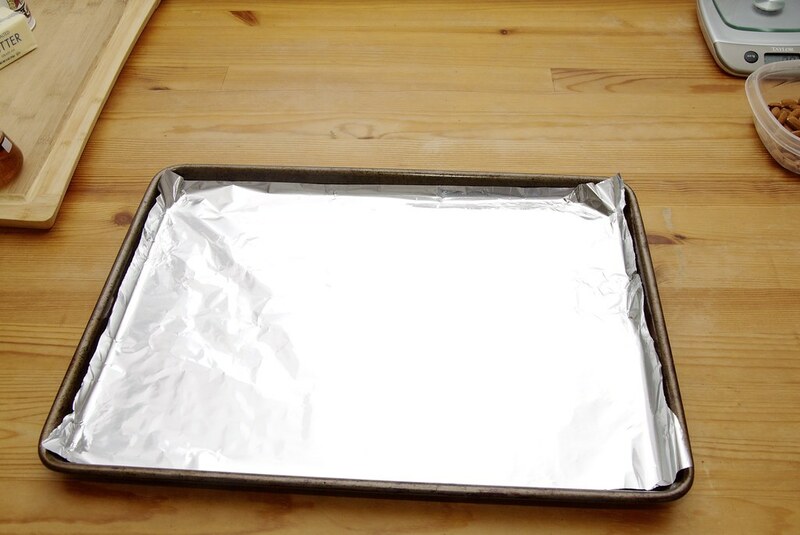 Notice that I am using aluminum foil not parchment. 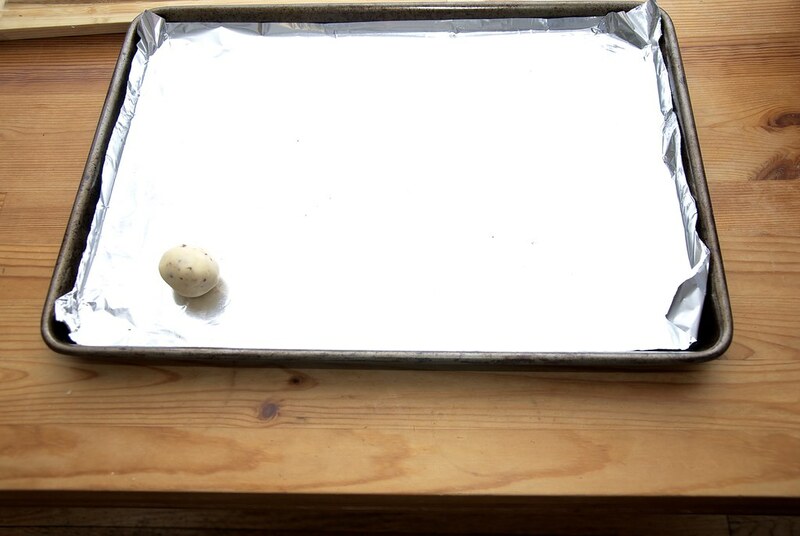 The main reason is that my baking pans are dark and absorb heat quickly. They will brown the bottoms too much, almost to the point that they are burned. So aluminum is an insurance policy. Press the ball to flatten them to about 1/2 inch thickness. Then make a little notch on the top. That is for the powder sugar to have a place to grab on. 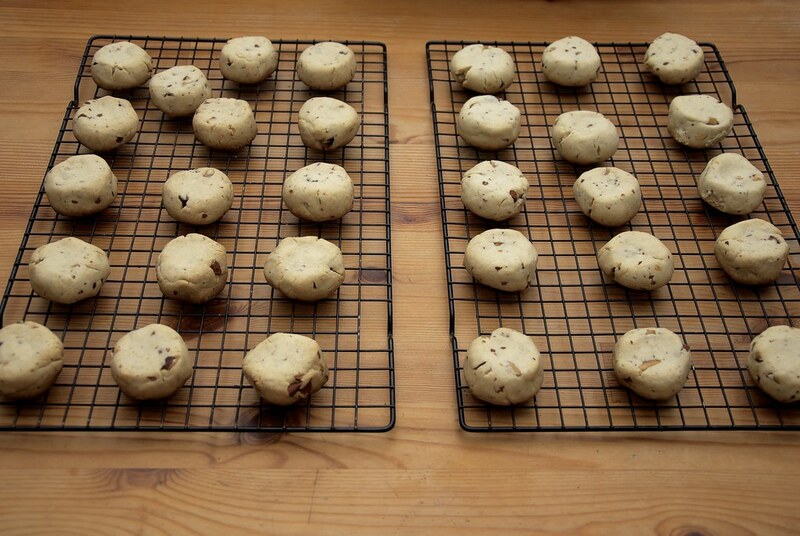 Bake them for 20 mins or until they just start turning brown at the edges. Also before you go to the next step make sure they cool. 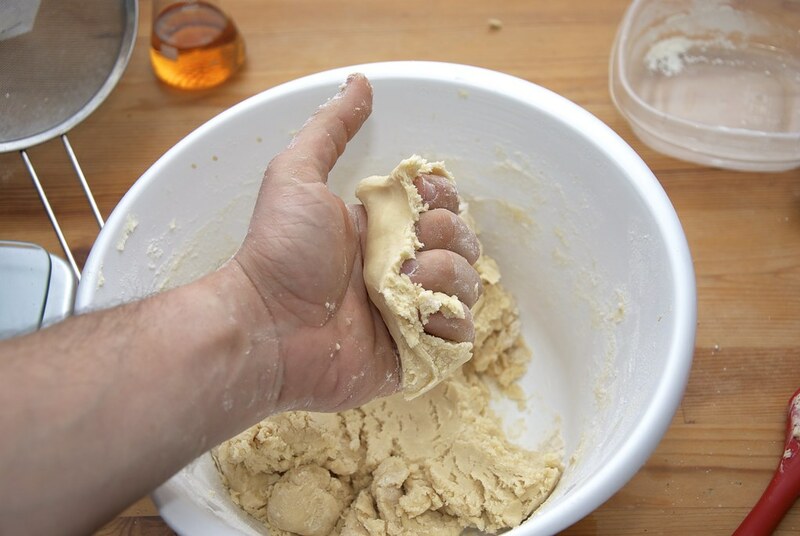 If you powder them while warm the sugar and the butter will make a paste that is delicious but not that appealing. 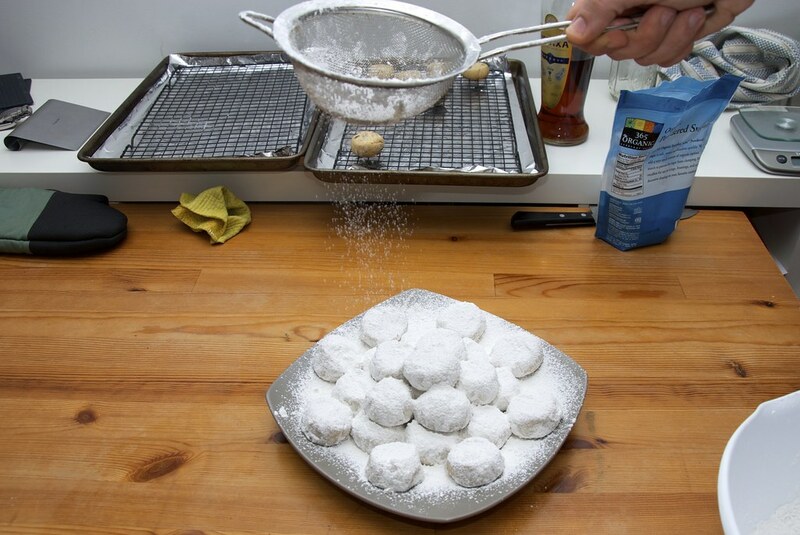 For presentation, dust a plate with powder sugar until there is a nice thick layer. 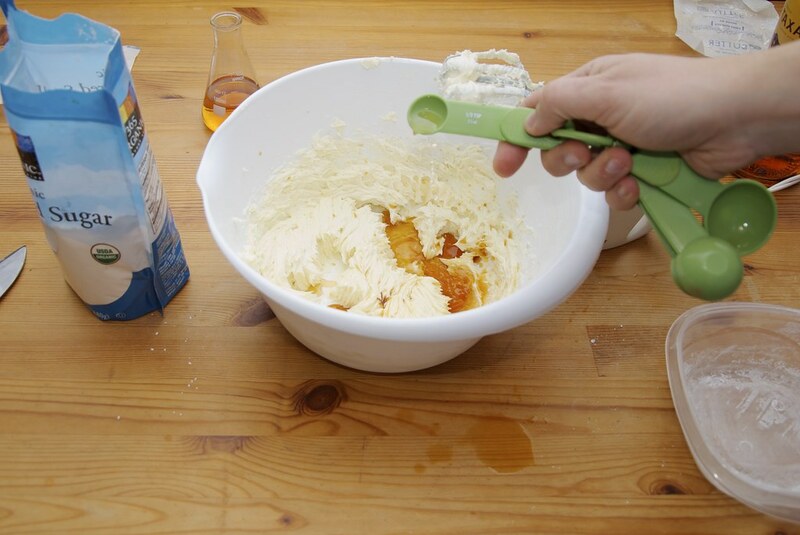 Add the powered sugar in the bowl and move them around. 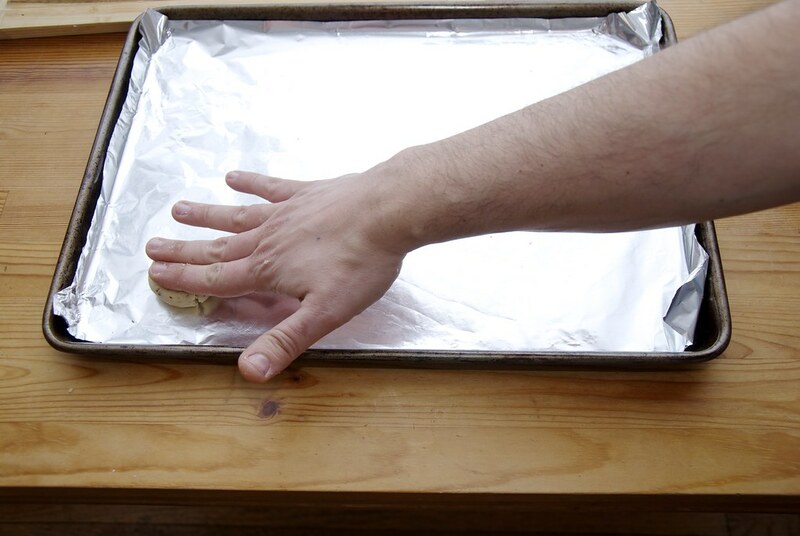 Use your hand to make a nice thick coating. And dust more powder sugar. 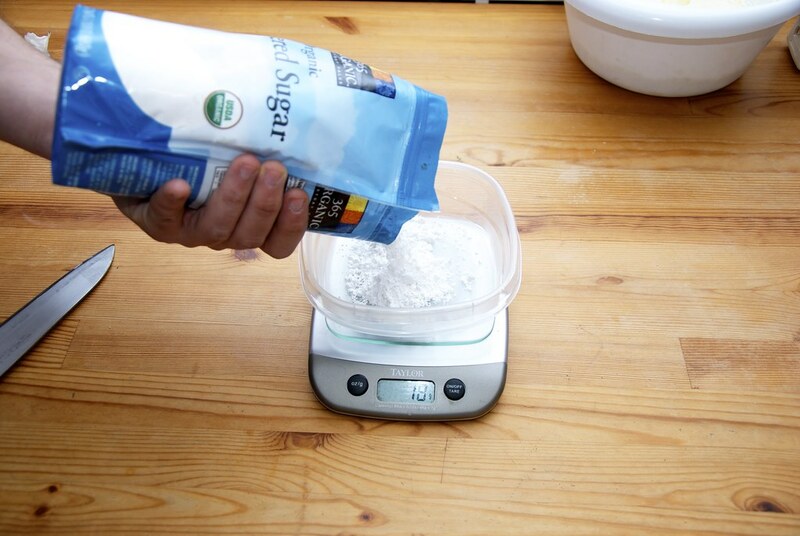 Continue by stacking more and more on top of each other and alternate them with more sugar. At the end give a final dusting with sugar. This will create a very nice snow effect. There! A simple but delicious desert. I cannot imagine Christmas without them. And when you cut one open, it should yield easily but without too many crumbs. It should hold it’s shape, but falls apart in the mouth. And they get better with time… If they last that long. 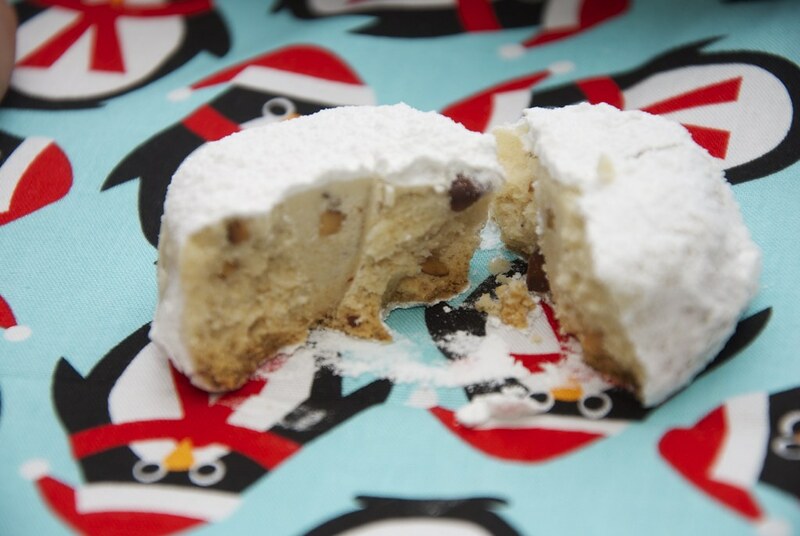 A delicious buttery cookie that blends the nutty butter and the sweet sugar in a velvety texture, making it ideal for Christmas. 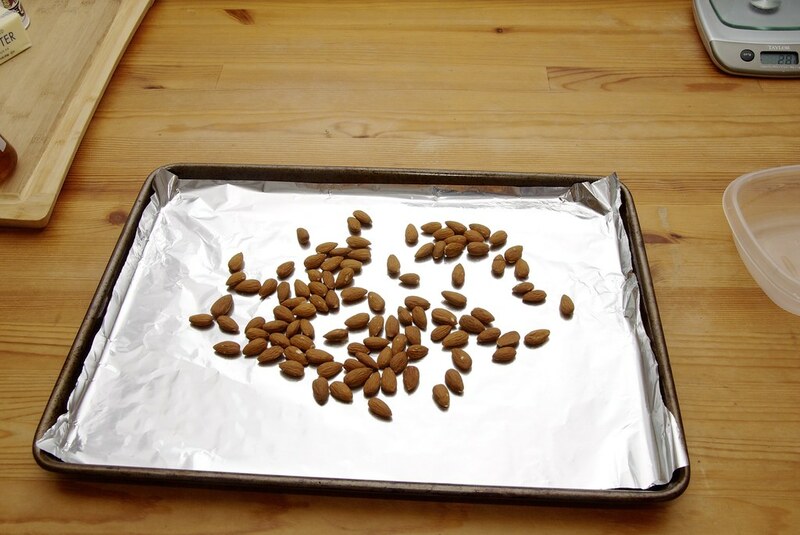 Roast the almonds in a 300 F oven for 10 mins. Chop them in small pieces. 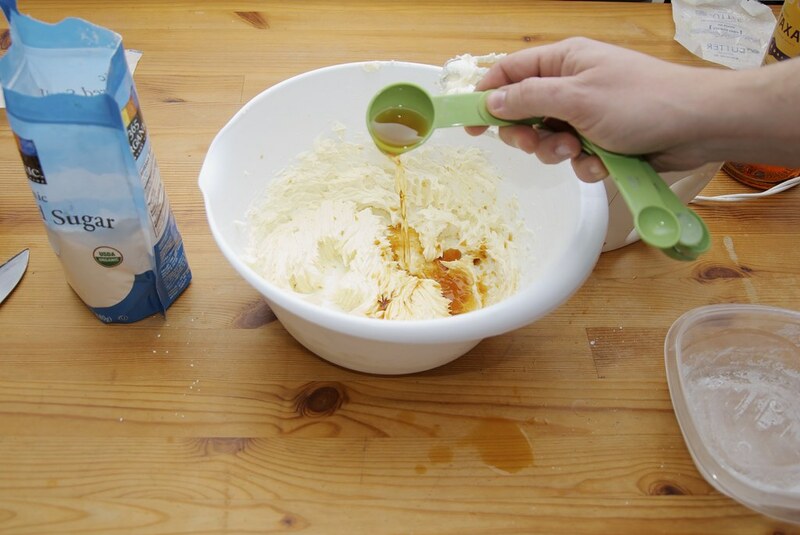 Whip the butter and the sugar until very creamy (20 mins). 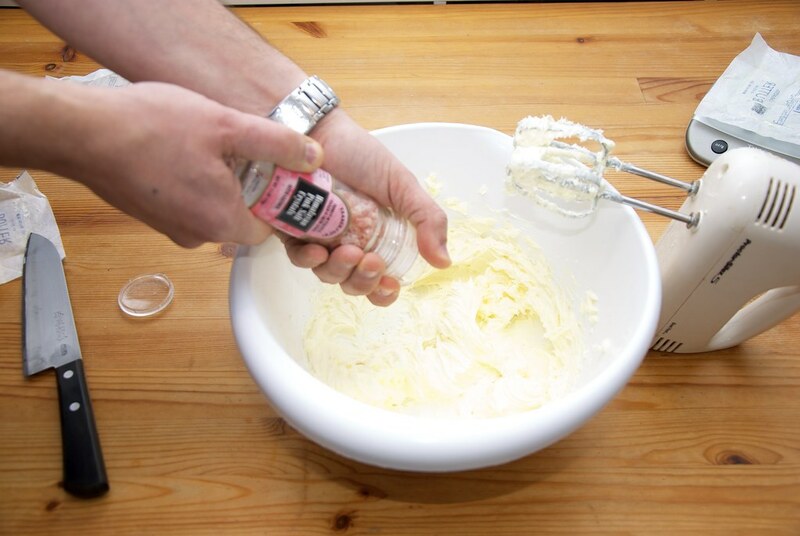 Add the brandy, vanilla and rose water and whip. 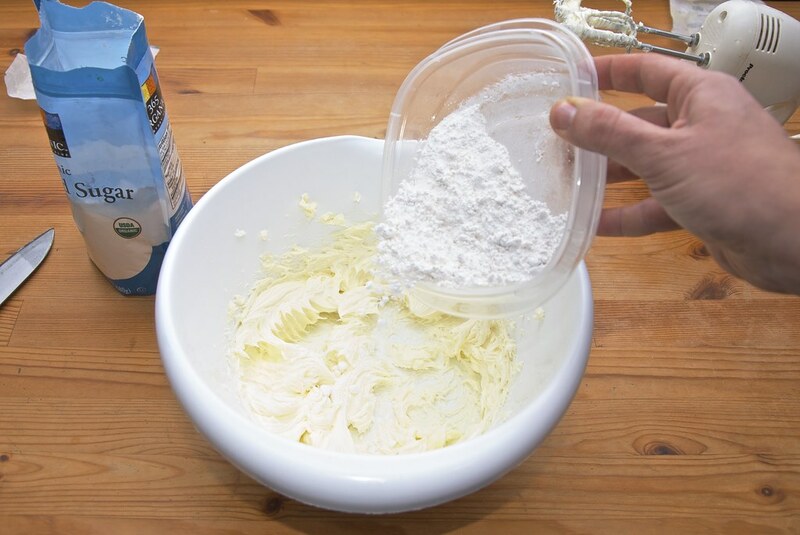 Add the salt, the baking powder, and whip. 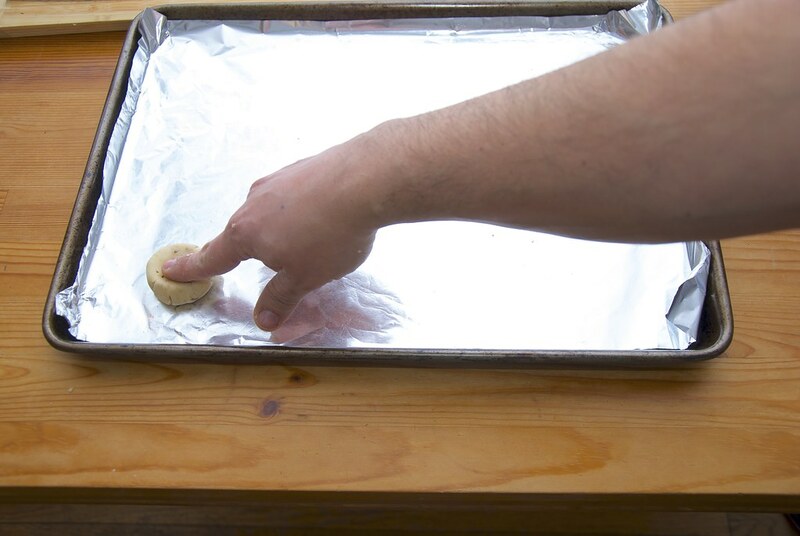 Put them in a baking dish and press them to flatten them out to about 1/2 inch thick. 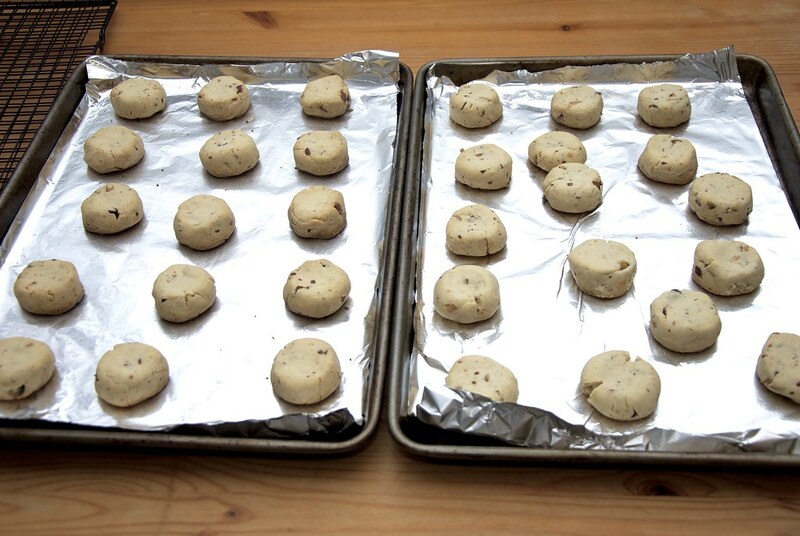 Bake at 300 F for 20 mins or until just brown around the edges. 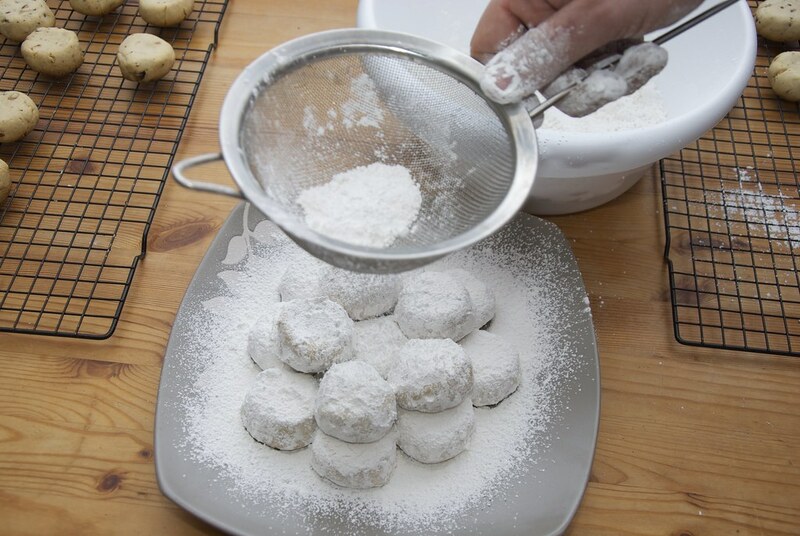 Cool and coat them with the rest of the powder sugar. Great cookies. Simple recipe but I like the step by step instructions.